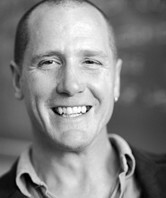 Mark Singleton works on yoga in tradition and modernity. He was research assistant to Elizabeth De Michelis at Cambridge University’s Dharam Hinduja Institute of Indic Research in 2002-3, and went on to complete a Ph.D at Cambridge’s Faculty of Divinity. He taught undergraduate and postgraduate courses at St. John’s College (Santa Fe, New Mexico) for seven years, and has been a senior long-term research scholar at the American Institute of Indian Studies, based in Jodhpur (Rajasthan, India). He was a consultant and catalogue author for the 2013 exhibition ‘Yoga: The Art of Transformation’ at the Smithsonian Institute in Washington D.C.. He is currently a senior researcher at the School of Oriental and African Studies in London, and is working on a five-year European Research Council-funded project entitled ‘The Hatha Yoga Project: Mapping Indian and Transnational Traditions of Physical Yoga through Philology and Ethnography’, in collaboration with two other scholars on this site (James Mallinson and Jason Birch). His books include Yoga in the Modern World (Routledge 2008, ed. with Jean Byrne); Yoga Body, The Origins of Modern Posture Practice (OUP 2010); Gurus of Modern Yoga (OUP 2014, ed. with Ellen Goldberg); and Roots of Yoga (forthcoming Penguin Classics 2016, with James Mallinson). He has also written articles, book chapters and encyclopedia entries on yoga. Forthcoming – (Trans.) ‘Religious Modernity’, by Sébastian Tank-Storper, in the English-language edition of Danièle Hervieu-Léger et Régine Azria (eds. )Dictionnaire des faits religieux (Paris: PUF). 2017 – Roots of Yoga: A Sourcebook from the Indic Traditions (London: Penguin Classics. With James Mallinson). 2016 – Yoga and physical culture: Transnational history and blurred discursive contexts. In Knut A. Jacobsen, ed., Routledge Handbook of Contemporary India, 172-84. Abingdon: Routledge. 2015 – Preface to the Serbian edition of Yoga Body, the Origins of Modern Posture Practice (Belgrade: Neopress Publishing). 2015 – Telo joge: koreni moderne posturalne prakseSerbian edition of Yoga Body, the Origins of Modern Posture Practice) (Belgrade, Neopress Publishing). 2014 – ヨガ・ボディ―ポーズ練習の起源 ― (Japanese edition of Yoga Body, the Origins of Modern Posture Practice) (Tokyo: Ohsumi Shoten). 2013 – ‘Modern Yoga’, in Debra Diamond (ed.) Yoga the Art of Transformation, Freer and Sackler Galleries, Smithsonian Institute, Washington D.C., pp.95-103. 2014 – (ed. with Ellen Goldberg) Gurus of Modern Yoga, Oxford University Press USA. This book includes a chapter co-written by Mark Singleton and Tara Fraser and entitled ‘T. Krishnamacharya, ”Father of Modern Yoga”’. 2013 – ‘Body at the Centre: The Postural Yoga Renaissance and Transnational Flows’ in Beatrix Hauser (ed.) Yoga Traveling: Bodily Practice in Transcultural Perspective (Heidelberg: Springer), pp. 37-56. You can download the PDF here. 2012 – ‘The Medium and the Message: Visual Reproduction and the Yogasana Revival’, in V. Lo and R. Yoeli-Tlalim (eds.) Sports, Medicine and Immortality: from Ancient China to the World Wide Web (London: British Museum). 2012 – ‘Yoga Makaranda of T. Krishnamacharya’, in D.G. White (ed. ), Yoga in Practice (Princeton University Press), pp.337-352. 2010 – Yoga Body, The Origins of Modern Posture Practice (Oxford University Press). 2009 – ‘Modern Yoga’, in K.A. Jacobsen (ed.) Encyclopedia of Hinduism (Leiden: Brill). 2008 – (ed. with Jean Byrne) Yoga in The Modern World: Contemporary Perspectives (London; New York: Routledge Hindu Studies Series). 2008 – ‘The Eastern Classics Program at St. John’s College’, in T. de Bary (ed.) Classics for an Emerging World: Proceeding of the Conference at Columbia University. 2007 – (Ed.) Asian Medicine, Tradition and Modernity (Special Yoga Issue) 3.1 (Leiden: Brill). 2007 – ‘Suggestive Therapeutics: New Thought’s Relationship to Modern Yoga’ in Asian Medicine, Tradition and Modernity, 3.1: 64-84. 2007 – ‘Lure of the Fallen Seraphim: Sovereignty and Sacrifice in James Joyce and Georges Bataille’, James Joyce Quarterly, 44.2 (Winter), 303-323. 2007 – ‘Yoga, Eugenics and Spiritual Darwinism in the Early Twentieth Century’. International Journal of Hindu Studies, 11.2: 125-146. 2007 – ‘British Wheel of Yoga’ in D. Cush, C. Robinson and M.York (eds.) Encyclopedia of Hinduism, (London and New York: Curzon-Routledge): 123-3. 2007 – ‘Choudhury, Bikram (b. 1946)’ in D.Cush et al (eds. ): 142. 2007 – ‘Desikachar, T.K.V. and Viniyoga’ in D. Cush et al (eds. ): 178. 2007 – ‘Indra Devi (1900-2002)’ in D. Cush et al (eds. ): 369-70. 2007 – ‘Iyengar, B.K.S. (b. 1918) and Iyengar Yoga’ in D. Cush et al (eds. ): 380-1. 2007 – ‘Krishnamacharya, T. (1888-1989)’ in D. Cush et al (eds. ): 424. 2007 – ‘Kuvalayananda, Swami (1883-1966) and Kaivalyadhama’ in D. Cush et al (eds. ): 441-2. 2007 – ‘Jois, K. Pattabhi and Ashtanga Vinyasa Yoga’ in D. Cush et al (eds. ): 393. 2007 – ‘Satchidananda, Swami and Integral Yoga’ in D. Cush et al (eds. ): 769. 2007 – ‘Satyananda, Swami (b. 1923) and the Bihar School of Yoga’ in D. Cush et al (eds. ): 776. 2007 – ‘Vishnudevananda (1927-93) and Sivananda Yoga’ in D. Cush et al (eds. ): 960-1. 2007 – ‘Yogendra, Shri (1897-1989) and the Yoga Institute, Santa Cruz’: 1041-2. 2007 – ‘Yoga, Modern’ in D. Cush et al (eds. ): 1033-1038. 2006 – Review of Joseph Alter’s Yoga in Modern India, in Asian Medicine, Tradition and Modernity, 2.1: 91-93. 2005 – ‘Salvation Through Relaxation: Proprioceptive Therapy in Relation to Yoga’, Journal of Contemporary Religion 20, 3 (2005) 289-304.